Casper Mattress Review and Ratings 2019: Is It Right for You? 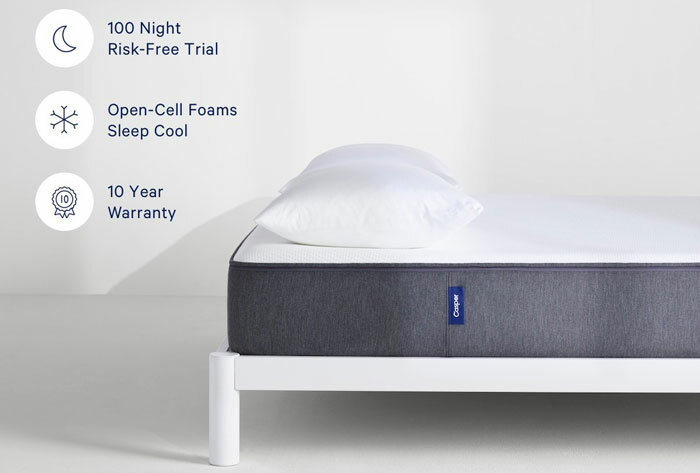 Home » Mattress Reviews » Casper Mattress Review and Ratings 2019: Is It Right for You? This Casper mattress review will focus on the new updated version of the flagship Casper, while also mentioning the alternatives in the Casper range. Casper offers the Wave (top of its range but expensive), the new updated Casper mattress, and the lower priced Essential. It is the mid-range 2019 Casper mattress that we shall be reviewing here. We shall first discuss its construction: the various layers that make this mattress what it is. We shall start from the top sleeping surface down to the base support layer. The new Casper mattress is constructed using four layers of foam. Casper does not use innersprings in any of its mattresses, so if you cannot sleep without springs, then you may think that this is not for you. However, Casper has many enticing features that may change your mind. Cover: The cover of a mattress is more important than many people realize. It is the surface in contact with your skin. The cover of the Casper mattress is a soft, thick polyester fabric. It has been designed not to bunch up when you move around when sleeping, but quickly zaps back to its original flatness. It is a zippered cover that can easily be removed for cleaning – it is machine washable. First Foam Layer – 1.5 inches: The first layer of foam is a proprietary foam, much like latex. It is comfortable to lie on and provides a good level of bounce for those that like this. This top Comfort Layer also relieves pressure on your shoulders, hips and other pressure points. It gives excellent support for the lower/lumbar region of your back. It also rapidly responds to pressure, and it keeps you cool at night. Second Foam Layer – 1.5 inches: This is referred to by Casper as the Contour Layer. This is a layer of 3.5 lb memory foam which contours to your body, and thus extends the pressure relief offered by the top layer down towards the third layer. It makes for an exceptionally comfortable mattress to lie and sleep on. Third Foam Layer – 1.5 inches: This is referred to by Casper as a Transition Layer. It is constructed using two types of polyurethane foam. There is a soft layer for the shoulders, and farther down the mattress is a firmer layer for the lower back and hip. So your shoulders are supported by a softer foam and your hips/lumbar area rest on a firmer foam. This is where Casper is unique in recognizing that your shoulders need less support then your hips and lower back do. Fourth Foam Layer – 5 inches: This is a high-density 1.8 lb polyurethane foam referred to as the Foundation Layer. This is the base layer for the mattress that provides overall support for any type of sleeper – or sleeping position. It is nothing special – much the same type of polyurethane foam used in other mattresses as a supporting base layer. However, as it does for other brands, it also works well as a support layer for Casper mattresses. These four distinct layers of foam add up to a 9.5-inch thick mattress that offers a good combination of comfort and support. This Casper mattress, designed in 2017 to meet modern needs, recognizes the different support needed by your shoulders and your hips and lower back. How Firm Is the Casper Mattress? This all might look good, but how firm is the new Casper mattress? In fact, how do you measure firmness? Sure, foam densities and ILD figures can be quoted, but how does it really feel when you lie on it? Is it bouncy or do you get stuck in it? Does it hurt when you lie on it because it doesn’t have enough ‘give’? Let’s look at this more closely. If you press your hand lightly on the mattress, you can feel a slight pressure and the mattress bounces back to its original flatness. Press harder, and you get a slight indentation – a bit like memory foam does, but not so ‘enfolding’ – it recovers fairly quickly. It would likely be described by most people as being of medium firmness – not a very scientific term, but it describes it pretty well. It’s a good ‘medium firm’ mattress. However, where the Casper mattress scores big time over its competitors is in the ‘Zoned Support‘ – the softer area where your shoulders would lie and harder for better support where your hips and lower back would lie. When you lie on the Casper mattress you feel as if you are being held on the top of the mattress – and not sunk into it. You get a feeling of being properly supported, and you can easily move around on it without feeling stuck into it. Edge Support: Edge support is important to many people. They may sit on the edge of the bed getting dressed, and many sit on their bed when putting their shoes on. The Casper mattress provides good edge support which not only makes the above activities easier but also supports you when you get close to the edge when sleeping. No mattress will suit everybody. The Casper mattress goes a long way towards achieving that, but even the very best mattresses cannot satisfy both light weight and heavy weight people. It’s a huge challenge for a mattress designer to create a product that will suit both heavy weight and light weight people equally. The following information applies generally, but may not apply universally. Side Sleepers: The two pressure zones are ideal for side sleepers. You get comfort for your shoulders and more support for your hips where you need it. In addition, the layers of comfort latex foam and memory foam together provide good support and low pressure on the shoulders and hips. The whole mattress construction helps to keep your spine straight when viewed from the front or back. The spine has a natural ‘S’ shape when viewed sideways, but is straight when viewed straight on. Without the correct type of support, side sleepers can have their spine moved out of alignment. The Casper mattress helps to prevent this. Back/Stomach Sleepers: Too soft a mattress can result in insufficient support for your shoulders and hips. These can sink too far into the mattress, putting pressure on your lower back leading to back pain. Too hard a mattress can result in insufficient support for the lumbar region. That is because the hips and shoulders do not sink enough and your lower back will be strained. Think of the ‘S’ where only the top and bottom are supported. Whether you lie on your front or back, there is not enough support for the whole spine. The Casper mattress does a good job of meeting the needs of both type of sleeper – back and stomach. Couples Needing Bounce: Many couples like a good bouncy mattress at night. Memory foam is hopeless for a bounce. The Casper mattress is resilient and not only provides good bounciness when needed but it is also an easy mattress to move about on when people want to change position. The foams used in the Casper Mattress for 2019 are CertiPUR-US certified. This means that no harmful or toxic chemicals were used in its manufacture. No heavy metals, no ozone-depleters, no phthalates or other harmful plasticizers and so on. You can find the terms of CertiPUR-US Here. A guarantee or warranty is an important factor with any purchase, but particularly when you are buying a product such as a mattress. The Casper mattress comes with a 10-year warranty, though this is available only to the buyer. If you purchase it as a gift or sell it on, then make sure you keep the receipt provided with the purchase because only you, the buyer, can redeem the warranty. As with any warranty for any product, make sure you read it properly and understand its terms. 100 Day Trial Period: You also get a 100-day trial period. If for any reason you do not like the Casper mattress, the company will collect it and give you a full refund. Each of these is constructed in the same way. The only difference between them is dimension – and price of course! 10 Inches of carefully chosen foam to provide you with a comfortable sleeping surface whatever position you sleep in. Zippered smooth polyester cover that offers a smooth, sleek sleeping surface that is easily removed for machine cleaning. You can wash the mattress cover when you wash your bedding. Good for all types of sleepers: side, stomach and back sleepers. Good level of bounce for night activities. 100 day trial – return free within 100 days for full refund. None that we could find when testing. 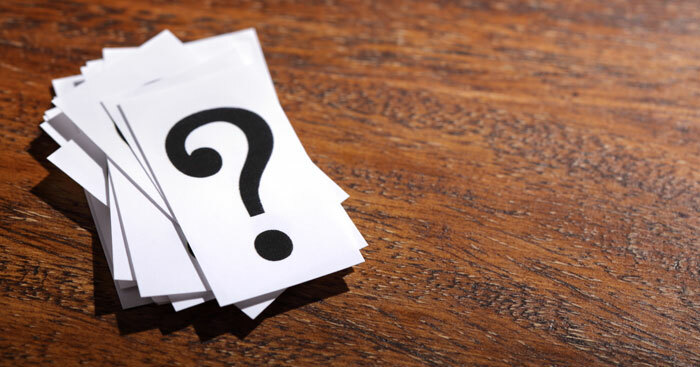 Some purchasers reported delivery issues – but none regarding the quality of the mattress. 1. Can I flip the Casper Mattress? No, it cannot be flipped due to its construction. Due to the layering of the foams, the correct side must be facing up. The bottom layer of foam is hard, and not designed to be used as a sleeping surface. However, you can rotate it – so the top is at the bottom and vice versa. We suggest you do this every three months. Keep in mind, however, that the softer and harder ends of the mattress will be reversed. 2. Can I use an adjustable base? 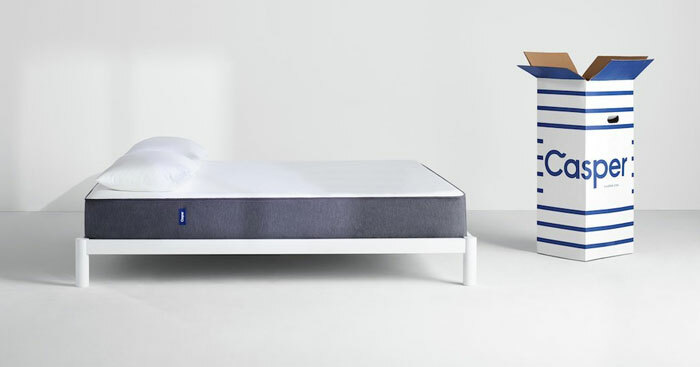 Yes, you can use a Casper mattress on an adjustable base! The base must be solid, flat, and compatible with foam mattresses. We recommend the Casper adjustable base as it is designed to properly support all Casper mattresses. Incidentally, the adjustable base also comes with a 100-day free trial. 3. Where are your mattresses made? They are made in the USA – they are manufactured in both Georgia and Pennsylvania. Some materials may be imported, although the mattresses are designed and constructed in the USA. 4. I see they are CertiPUR-US certified. Does that mean they have no chemical smell? No – it does not mean that. Like all foam mattresses, our mattresses will emit a slight chemical odor when you open the box. This form of off-gassing is normal for mattresses, so don’t worry about it. Let the mattress air for a while. The smell should disappear after about 2-3 days. This is normal for foam mattresses. CertiPUR-US means that they have been made without environmentally hazardous materials. The chemical smell is not harmful and will start to dissipate once the mattress is exposed to fresh air. 5. Does it get hot when I sleep on it? Not as far as we have tested it – and other online reviews don’t mention it. Memory foams can sleep hot, but the memory foam in the Casper mattress is not a top layer. No doubt there are mattresses out there that are designed specifically to reduce heat when sleeping, but this is not one of them, largely because it is not, and has never been, an issue with our mattresses. 6. Can the Casper Mattress be used on a sofa bed? No. They are not designed for repeated folding. They would soon break up. 7. Is there a body weight limit for the Casper Mattress? No. No limit has been stated for the Casper mattress. However, if you weight over 350 lb, there are mattresses available for heavier people. While carrying out this Casper mattress review, it soon became apparent that this is a high quality mattress. It can compete with most other mattresses, including many selling at much higher price tags than this. The Casper mattress is a high quality mattress suitable for you irrespective of the sleeping position you normally use. It is comfortable and supportive, and is suitable for individuals or for couples. Its motion isolation properties are excellent, so that partners are not disturbed by each other when they move on the bed. It is well worth a try: if you don’t like it within the first 100 days of purchasing it, then it will be collected free of charge and your payment returned with no quibble. This is the type of guarantee offered by companies with total confidence in the quality of their product. Our Casper mattress review refers to the new version of the mid-priced Casper mattress.